Using the highest of quality products to ensure that beautiful look. We can make sure you look perfect on your special day. We can help you find the perfect look before your special event or wedding. Book today with Fareha, specialists in bridal make-up and hairstyle. You are welcome to call but you can also book online with our easy step booking system! Please feel free to reach out with any questions. Fareha usest the highest quality of products, which ensures superbly beautiful effects that will last for hours. You can book today through our online booking system. I purchased Prednisone from FDList, along with Hydroxychloroquine and several other drugs for the stomach. I used to take Prednisone earlier, then I was treated for cancer with chemotherapy and rays, and ten years ago I was not bothered by anything, and now it's lupus ..... it's really stupid! Fareha is a well-knowing Henna Artist in Sydney who specialises in Indian, Pakistani and Sri Lankan designs. So why not book a appointment today, you will not be disappointed! Sundeep and I got married in our local Gurudwara Sahib (Sikh Temple) in Glenwood. This Gurudwara Sahib means a lot to both of us as we both first met, in 2006. 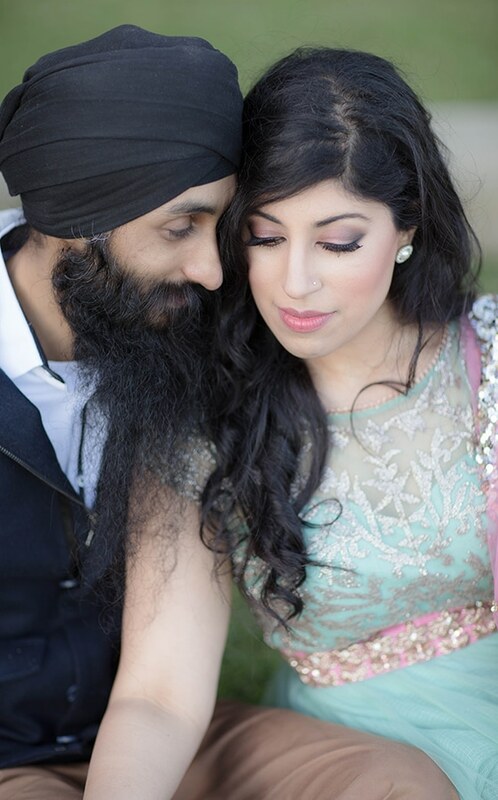 We wanted our wedding to reflect our story and be a representation of who we are as a couple. Fareha created different looks for all my events from the pre-wedding shoot, to the wedding ceremony and reception, she did an amazing job with my mehndi, hair and make-up, and the compliments kept coming. I truly felt like a princess! Not only is Fareha a professional but she is also personable, and great to talk to. Fareha takes pride in her work because she understands her clients and she makes the process go so smoothly, which is what a bride needs during her wedding ceremony and events. Junaid and Iqra had their fairytale wedding at the Lemnos Club by Clarence House. The interior was set by the talented Anna Wang, it was dressed with beautiful red flowers dropping down from the ceiling with exquisite candles and unique floral centre pieces for the tables customised by the couple. Also with a cultural touch by Taj Mahal Events on their previous celebrations that made the atmosphere magical. 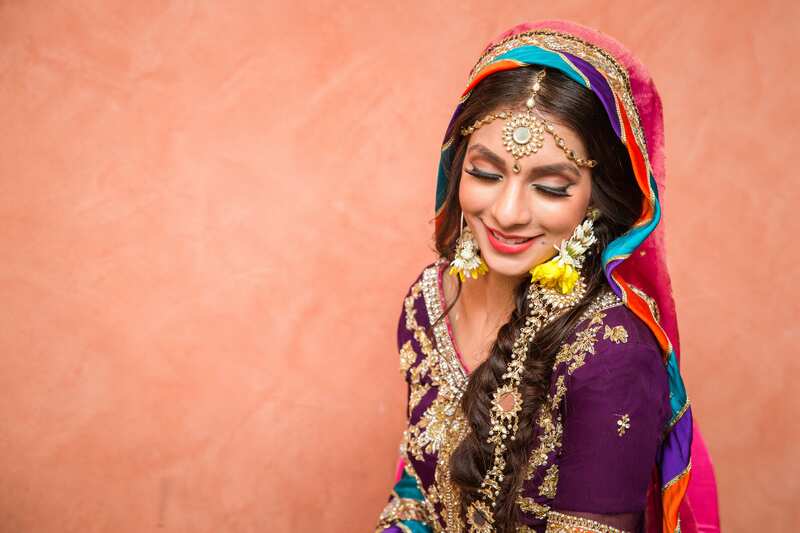 But most of all, the four events were made even more special with the touch of Fareha's makeup, henna and hair for Iqra during all her events. Fareha is the most humble and easy going person, she makes you feel comfortable with sharing your opinion as she gets you ready. John and I wanted our union to honour my Fijian Indian and John's Filipino heritage. I wore a vibrant magenta Anarkali and John wore a cream and gold Barong, our outfits looked incredible against the Garden's green foliage. For our second photo shoot we wanted to capture elements of beautiful and iconic The Rocks and Circular Quay in Sydney. I wore two gowns from Maggie Sottero, one in ivory and another in champagne. Both were intricately adorned with Swarovski crystals. John's Rembrandt midnight blue suit complemented both gowns well and he looked very charming in his black bow tie. For both events I opted for a fresh complexion, classic winged eye and statement lips. Apart from doing an amazing job getting my sister and I ready, Fareha is a genuinely nice person and we loved spending time with her while getting ready.